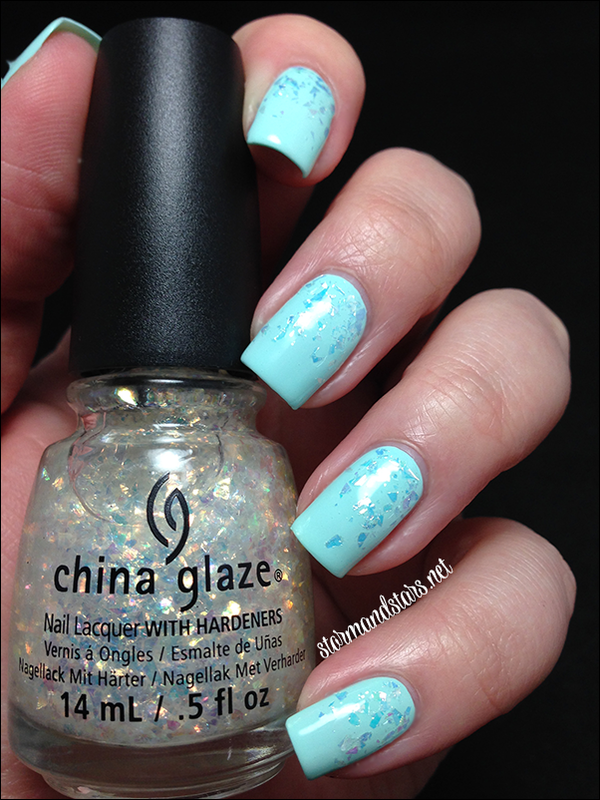 Stormandstars.net: China Glaze | Pop Top and a Nail Art Contest! I am so happy to share today's blog post with you. For as long as I have been obsessing over nail polish, my favorite major brand has been China Glaze. Their collections are creative and their summer neon shades are always to die for. My first full collection lemming and hunt was for their 2012 Summer Neons. 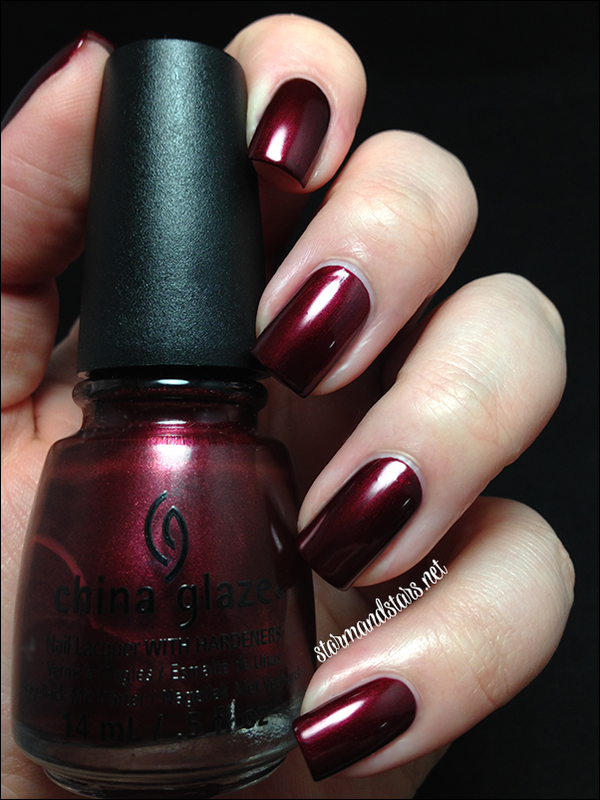 Well today I have for you my first official China Glaze review. I have the new Pop Top collection that just hit the shelves for August consisting of six glitter toppers and two classic shades. I believe most of these if not all have been released before, but as part of other collections. I want to jump right in with my favorite of the six glitters. Here is Your Present Required. 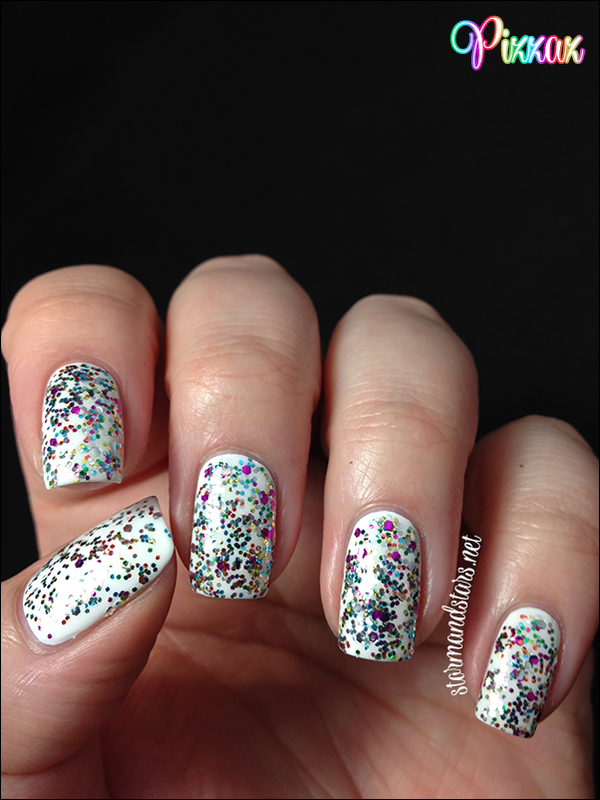 Your Present Required is a clear base packed with multicolor hex glitter in different sizes including large matte white and teeny tiny matte white and everything in between. I love how this one looks over just about everything. I had a hard time deciding on undies, but I ended up with China Glaze Lotus Begin. 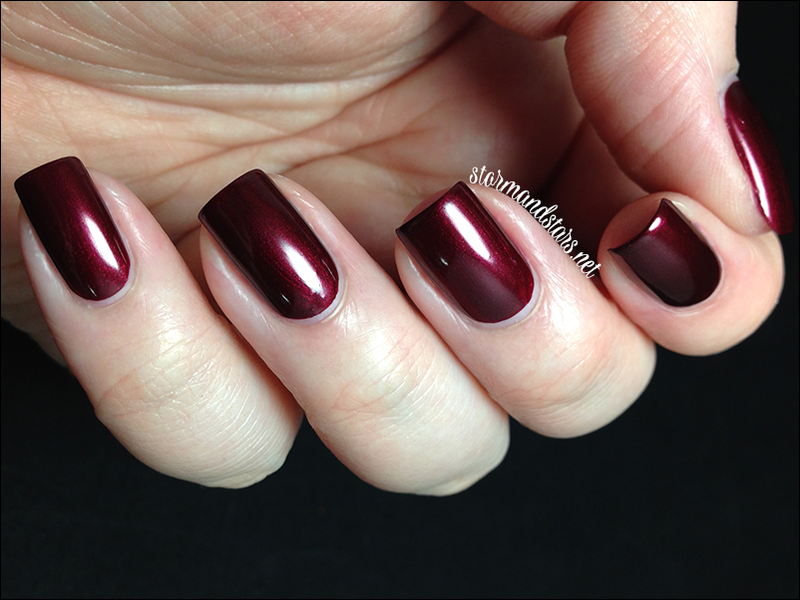 I used one coat of Your Present Required and a coat of topcoat to finish off the manicure. I found the formula thin but easy to work with. The only glitters I had trouble with were the large white hexes which did not want to come out of the bottle for me. Overall I really like this glitter and definitely recommend it! 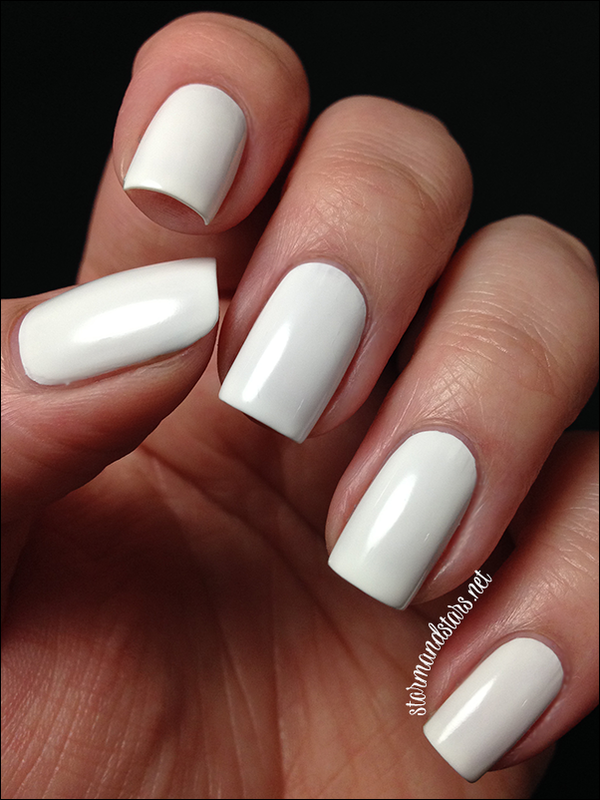 Next up is the first of the two classic shades, here is White on White. White on White is your classic white creme. 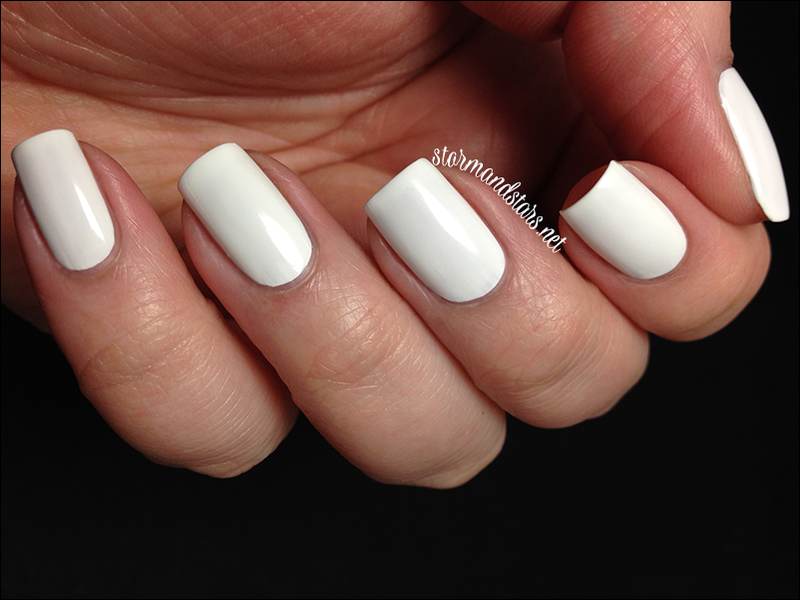 I layered just two coats of White on White with no topcoat for these photos. This lacquer was a little thin and patchy on the first coat but evened out nicely on the second and dried super shiny. Enough that I did not need topcoat. This is definitely a white I will reach for again for other looks. 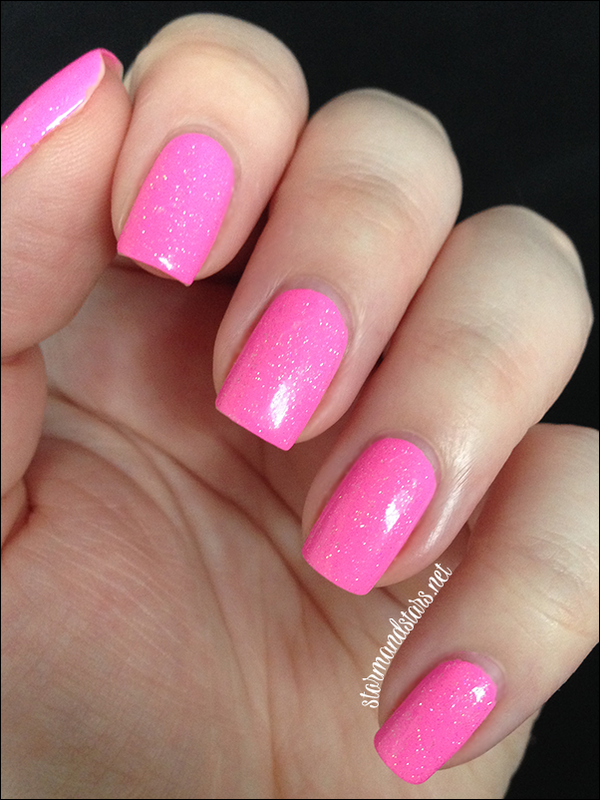 Next up for the glitters is I Pink I Can. 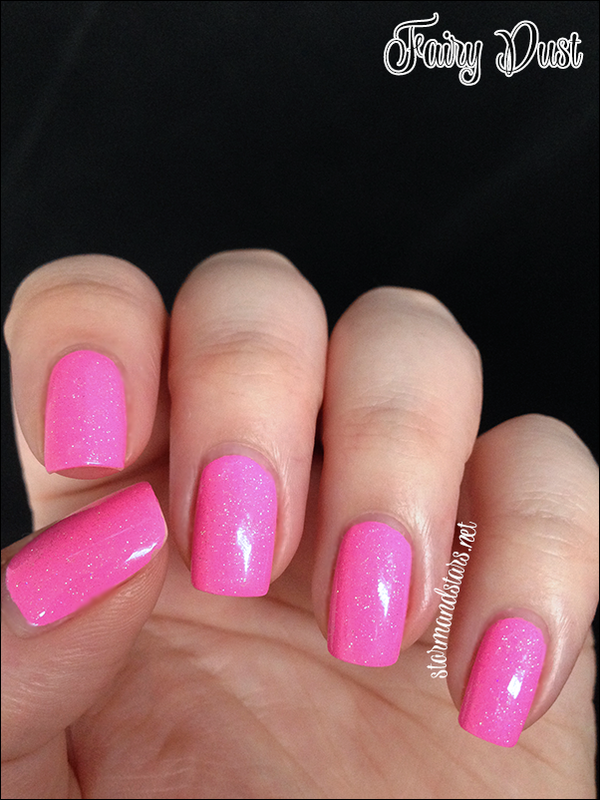 I Pink I Can is a clear base with different sized pink metallic hex glitters throughout. 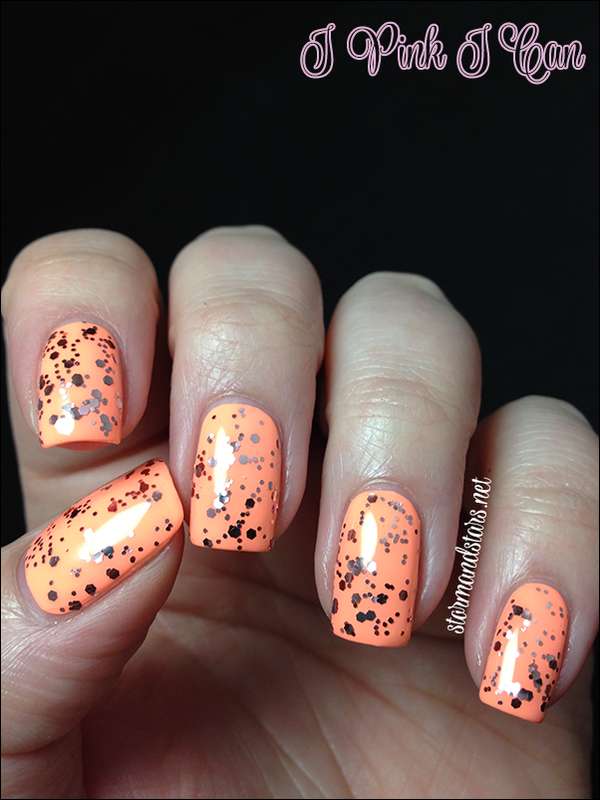 I used one coat plus some dabbing of I Pink I Can over China Glaze Sun of a Peach for this look. 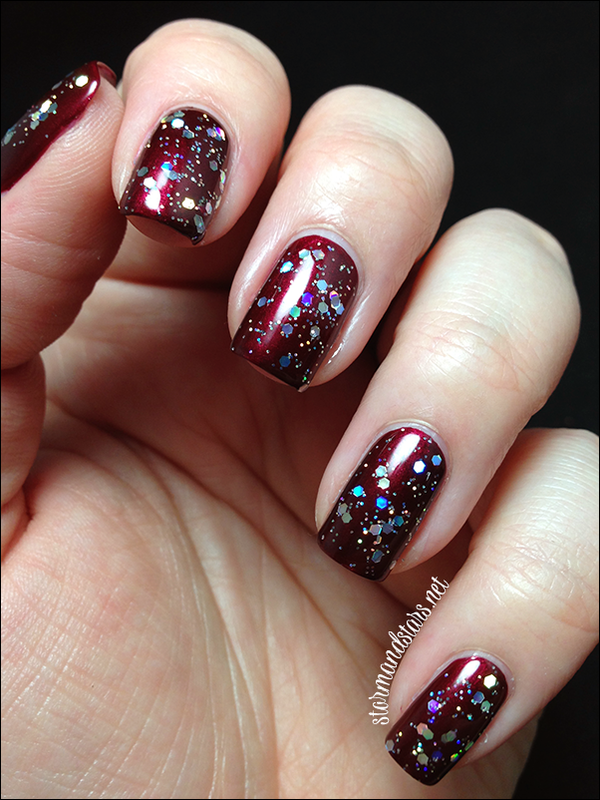 Topcoat smoothed out the glitter and made it all shine. I really like how it came out! I found the formula of this glitter really great and had no issues applying it. Next up is the second of the two classic colors. This is Heart of Africa. Wow wow wow! I am soooooo in love with this color. I can't wait to wear it over and over in the fall!! I used just ONE (yea you heard me.. ONE) coat of Heart of Africa and no topcoat for these images. Talk about an easy to use lacquer. The formula was perfect, I barely had any cleanup and I really have nothing but amazing things to say about Hear of Africa. 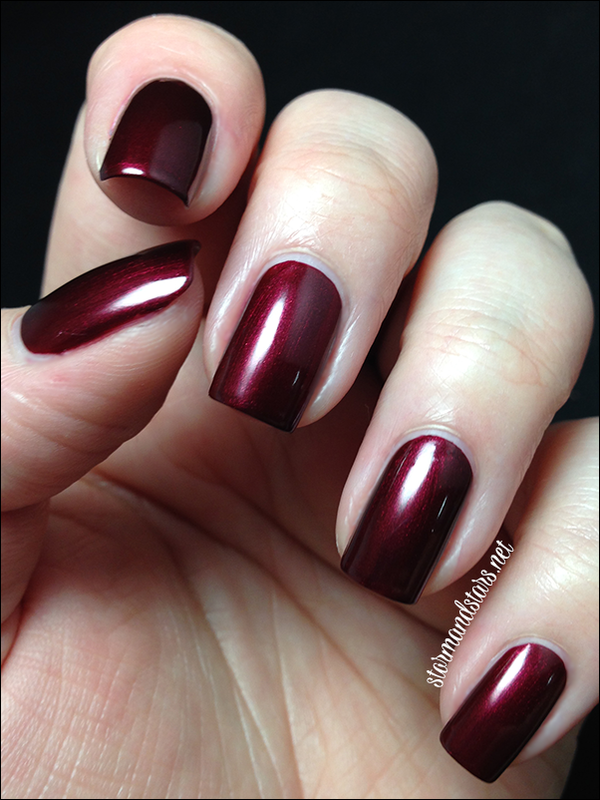 If you like vampy shades for fall, run out and get this baby. I honestly just keep looking at it. I may wear it for summer. Don't tell anyone ok? Next up is a glitter that most, if not all of you are probably familiar with. The famous Fairy Dust! 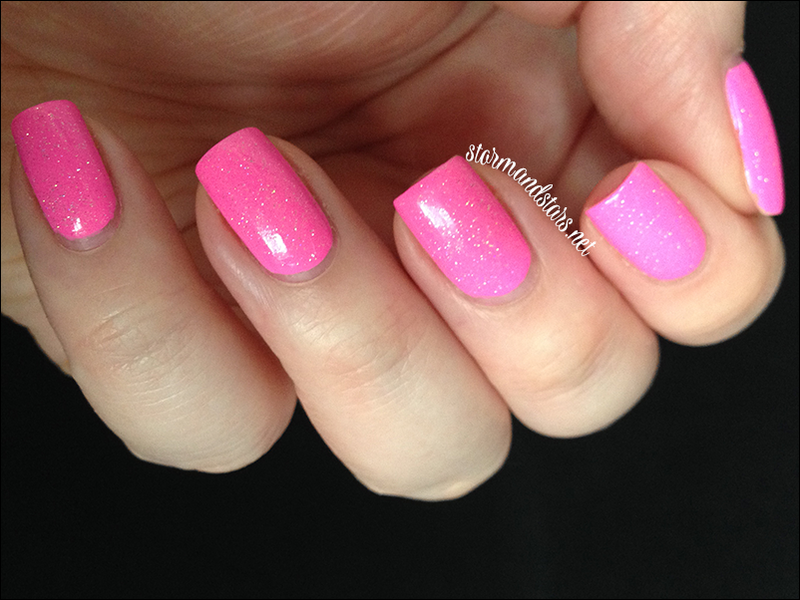 I layered one coat of Fairy Dust over a base of China Glaze Bottoms Up, one of my favorite pink neons for summer. It sparkles like crazy and I am still wearing it four days later because I can't bear to take it off. The formula on Fairy Dust is fantastic. I is a clear base loaded with holographic micro glitters that make anything it is layered over sparkle just enough. 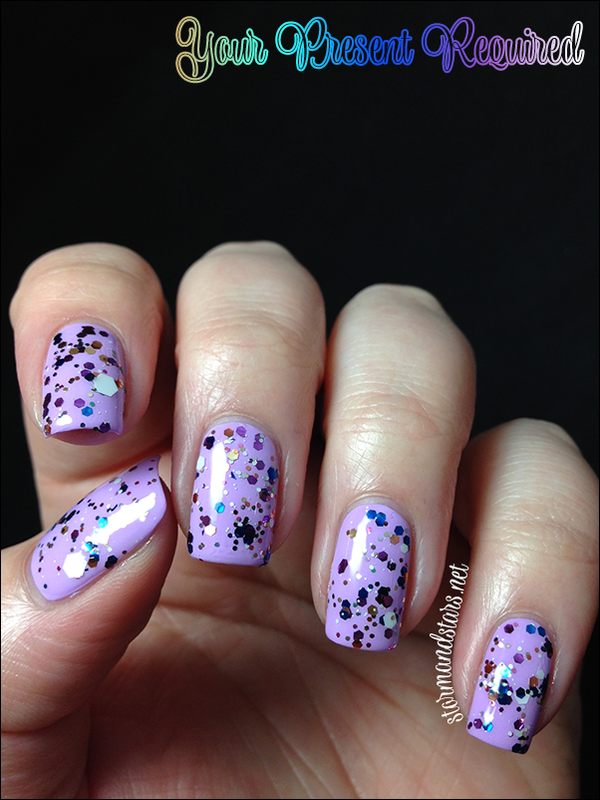 This glitter is a must have for any nail girl's collection! 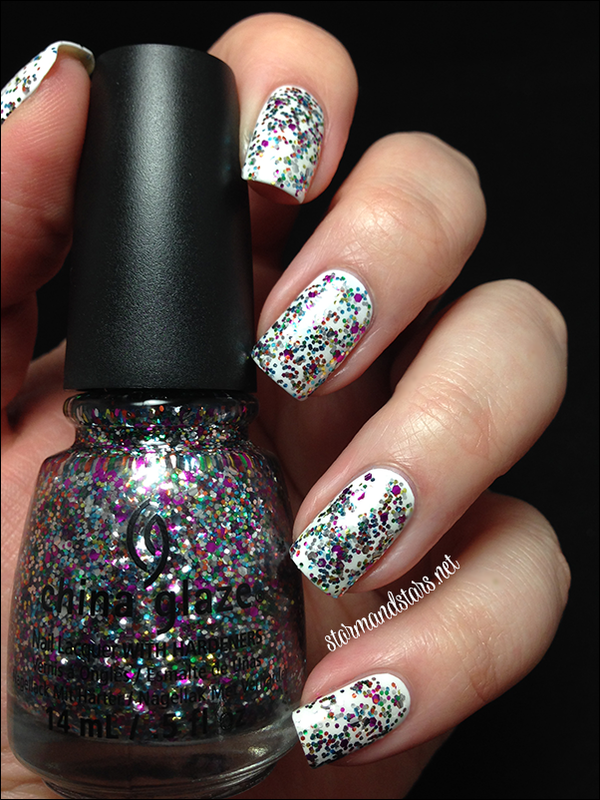 Next up is a major glitter bomb, Pizzaz! 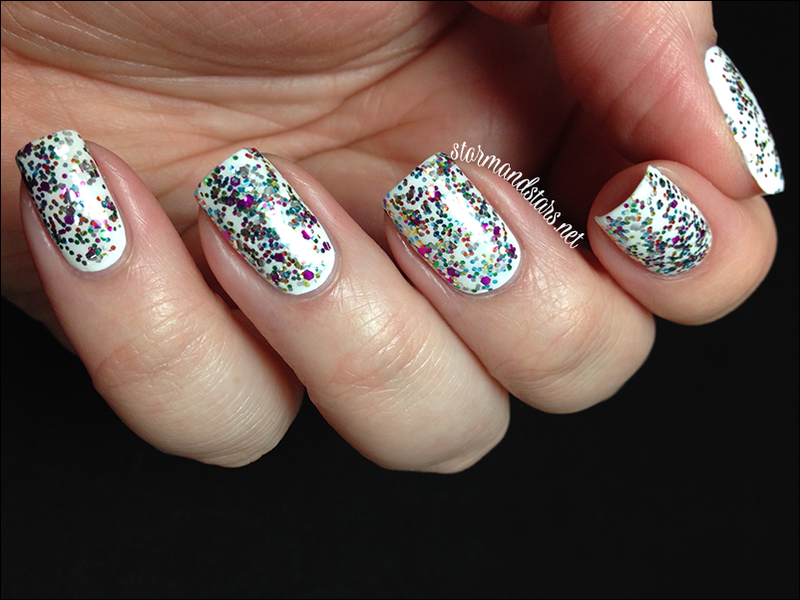 Pizzaz is a clear base stuffed to the brim with tons of multicolor glitter. 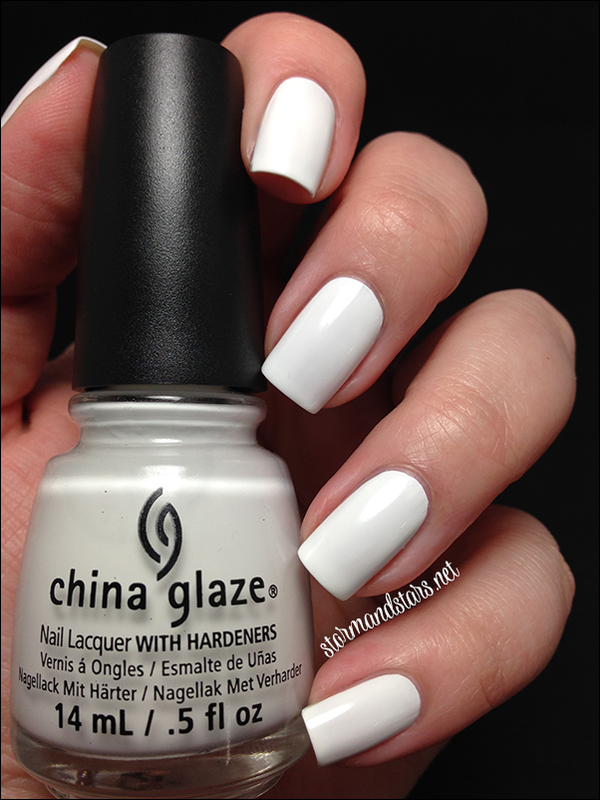 I layered one coat (with some dabbing) of Pizzaz over China Glaze White on White for this mani. 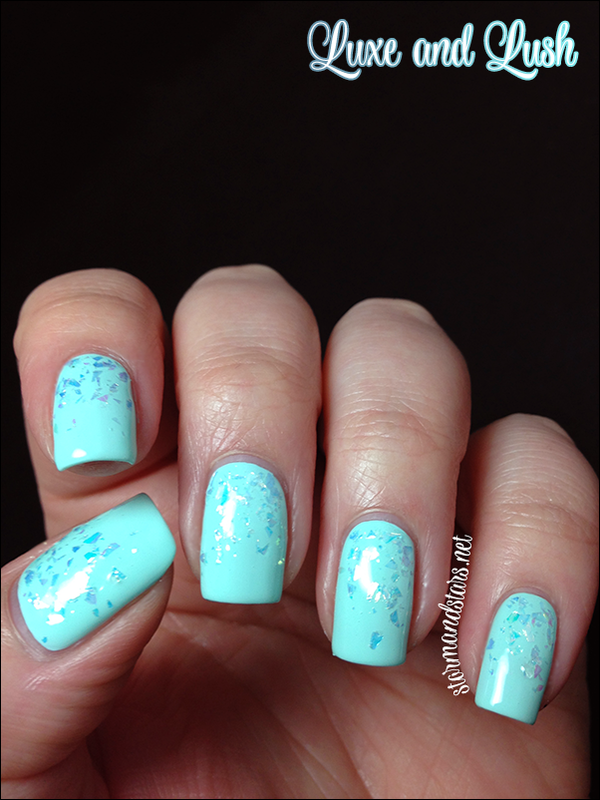 I added a thick layer of topcoat to smooth out all the glitter and make it all pop. The formula was good, I did have some bunching of the glitter, so I suggest the dabbing method for best application. 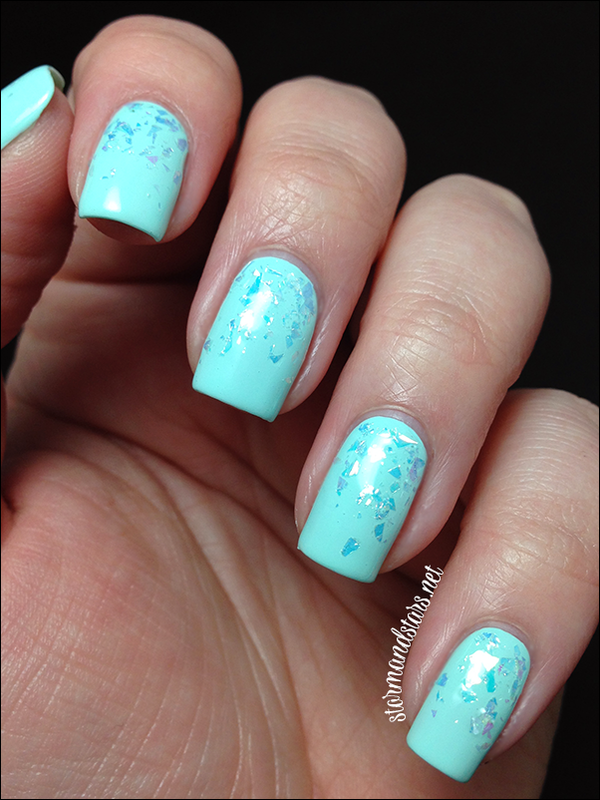 I wasn't much of a fan of Pizzaz in the bottle, but I really love it layered over the white, it makes the colors pop and it looks like tons of confetti! 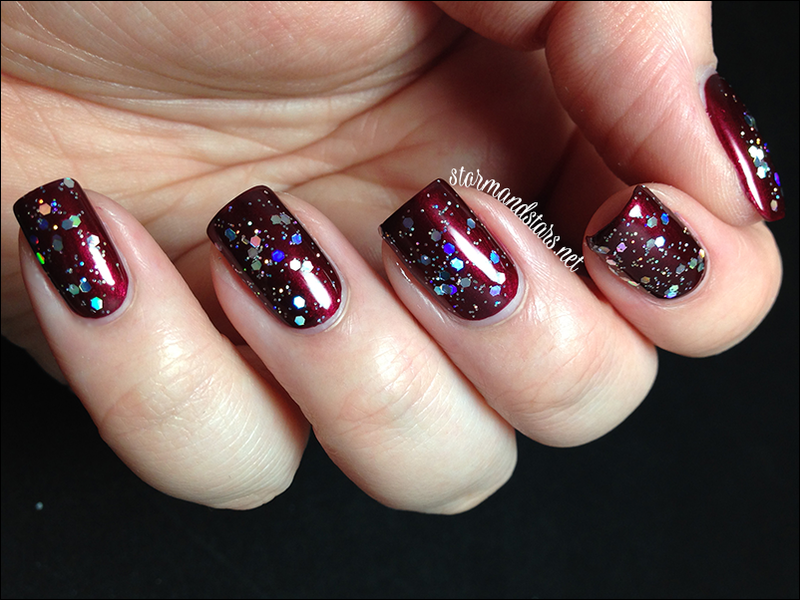 Here we have another holographic glitter topper, Techno. 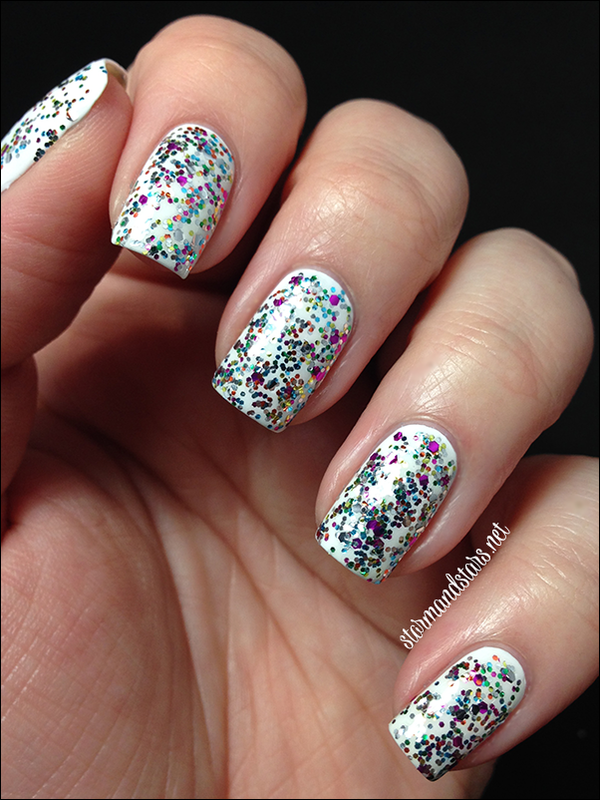 Techno is a clear base filled with all different sized silver holographic glitter. What is better than holo glitter right? This sparkles and shines an insane amount in the light. I used one coat of Techno over China Glaze Heart of Africa for this look. 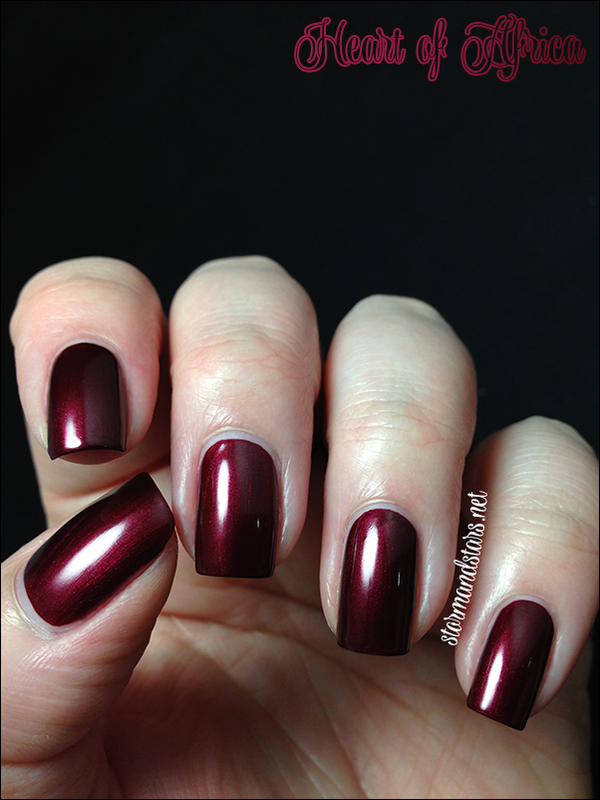 I also painted on one coat of topcoat to make it shine for the photos. I had no formula or glitter issues with Techno. Everything went on smooth and easy. This glitter is super versatile and can be worn over just about anything you want to add sparkle to! 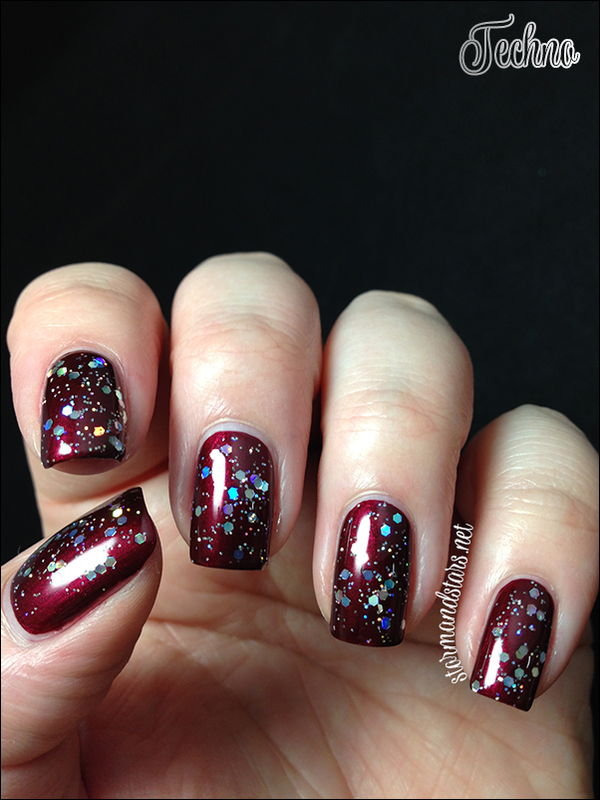 Last up today is the only flakie glitter, Luxe and Lush. 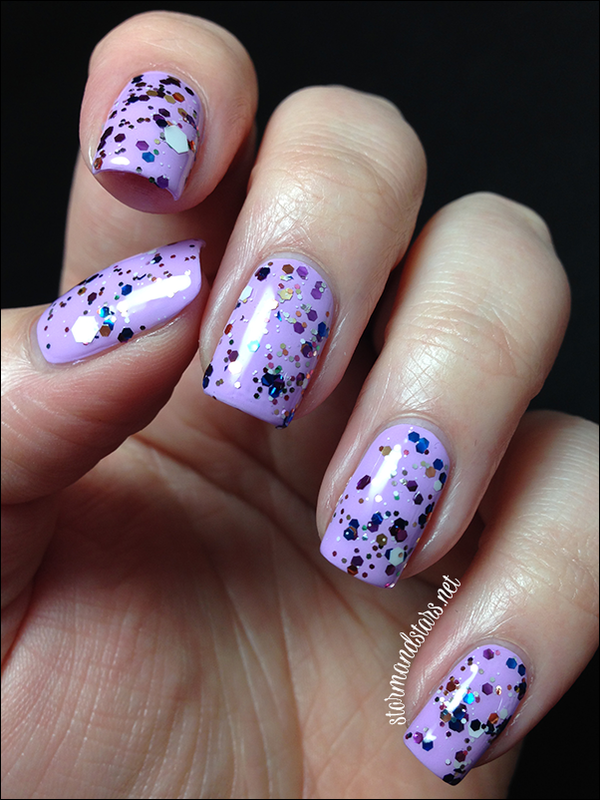 Luxe and Lush is an iridescent flakie glitter that when layered over different colors creates a duo or multichrome effect. Depending on what this lacquer is layered over it can take on so many forms, but this was by far my favorite of what I tried. I used the bottle brush to do a quick glitter gradient of Luxe and Lush over China Glaze At Vase Value, then I added a thick layer of topcoat to smooth it all out. Luxe and Lush is definitely finicky, but I suggest using the dabbing method and trying to flatten out the glitters as much as you can as you go. I only had one sticking up at the end, most of them ended up flattening out with the addition of topcoat. Usually I prefer flakies over dark colors, but this particular one looks fantastic over lighter shades. 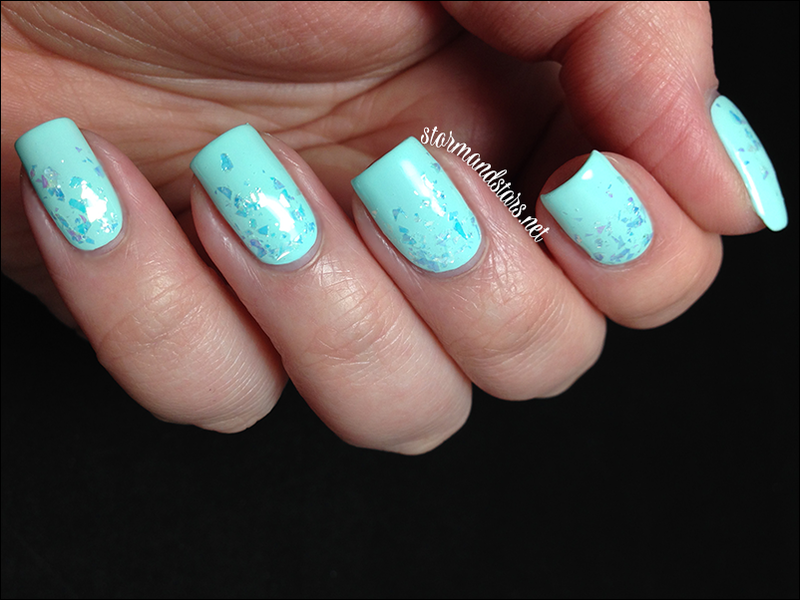 This mani felt like frozen icicles to me. So much love. 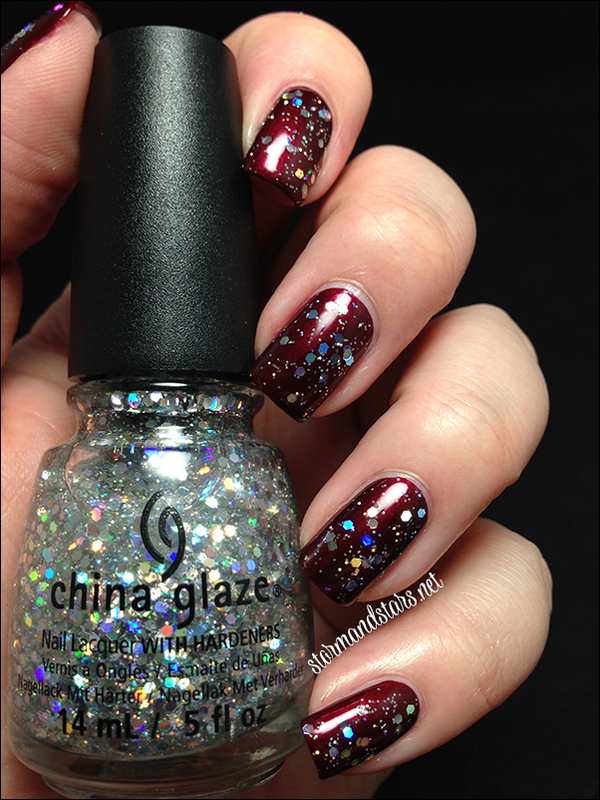 The China Glaze Pop Top collection is available individually now for $7.50 at China Glaze retailers and as two sets of four labeled as "Glisten Up" and "Feeling Sparkly" exclusively at Ulta for $19.95 per set. 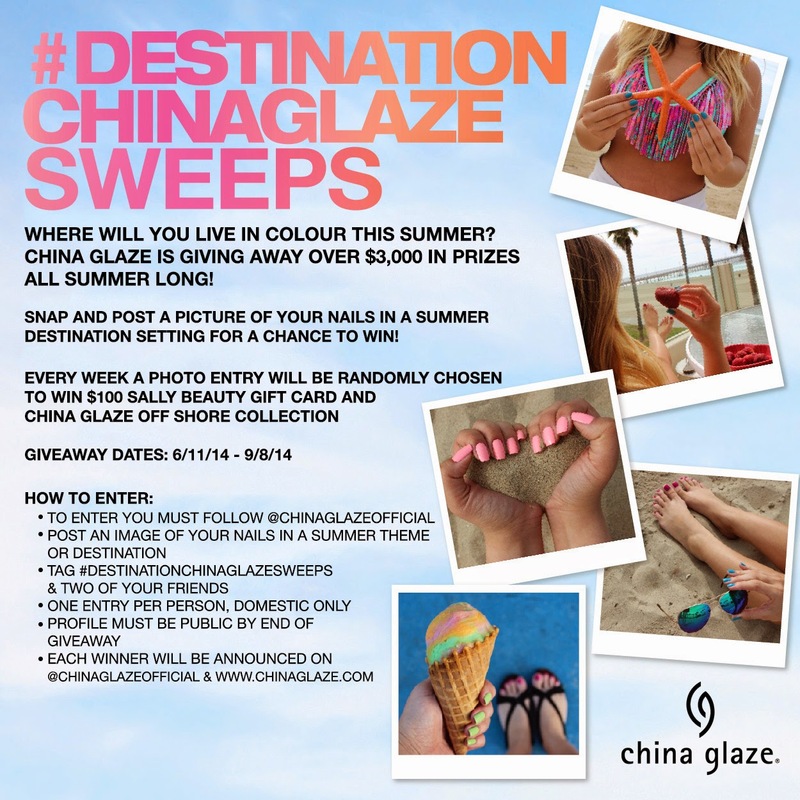 In addition to this new collection, China Glaze has an ongoing summer nail art contest right now! See the graphic below for details! 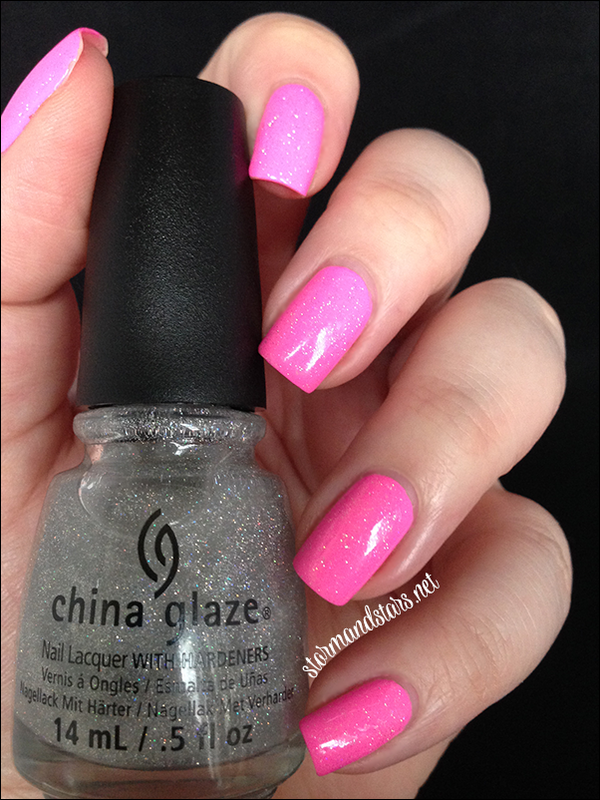 Make sure you follow China Glaze on social media for updates about the brand! I hope you enjoyed this collection as much as I did! Heart of Africa is stunning! Heart of Africa !!! I've been looking for such a color for 2 years!!!!!! Fall Must have!!!!!!!!!!!! !